To download the latest issue of OPUS, click here! We will still provide paper copies as a service to our members who request it. 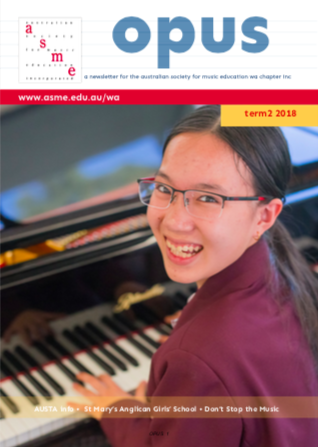 To opt in to receiving a paper copy, please email the editor Sonya at elek[at]aapt.net.au. We are always looking for articles for Opus. If you’ve got something you’d like to share (big or small) with fellow music educators, please contact Sonya.